You can preorder an iPhone 8 or iPhone 8 Plus starting Friday. But Apple has created something of a conundrum for customers by postponing the release of its higher-end iPhone X until Nov. 3. Do you buy an 8 or wait? It's a difference of $200 to $300, six long weeks and the ability to animate yourself as a cartoon poop. You have to dig through a lot of superlatives and made-up marketing terms (Bionic chip, Super Retina, deeper pixels) to find what's really new in the iPhone 8, iPhone 8 Plus and iPhone X. To help you decide when (or if) you should spend hundreds of dollars on a new iPhone, let's look at what each device offers. Real talk: Do you even need a new phone? Next Tuesday, before the iPhone 8 and iPhone 8 Plus ship, Apple will release its iOS 11 mobile operating system. The free update will introduce a new design and add a number of new features to existing phones. There's support for augmented reality apps, a file management system, an updated Control Center and a safety feature for drivers. Siri's voice has even been tweaked and can do new tricks like translations. The catch? iOS 11 is only available if you have an iPhone 5S or later, and not every new feature will work on all models. For example, person-to-person payments only work on the iPhone SE and later; Augmented reality will only work on iPhone 6S and newer. You might be happy upgrading to the water-resistant iPhone 7. It shares a number of specs with the newer models but will now sport a new, lower price tag starting at $549. They could have easily been called the iPhone 7S and 7S Plus. The two new models include a few standout features, subtle design changes, and the usual host of speed updates. The back of the phones are now a piece of reinforced glass. Why the switch? It's necessary for the biggest new feature found in the iPhone 8 and 8 Plus: "wireless" charging. 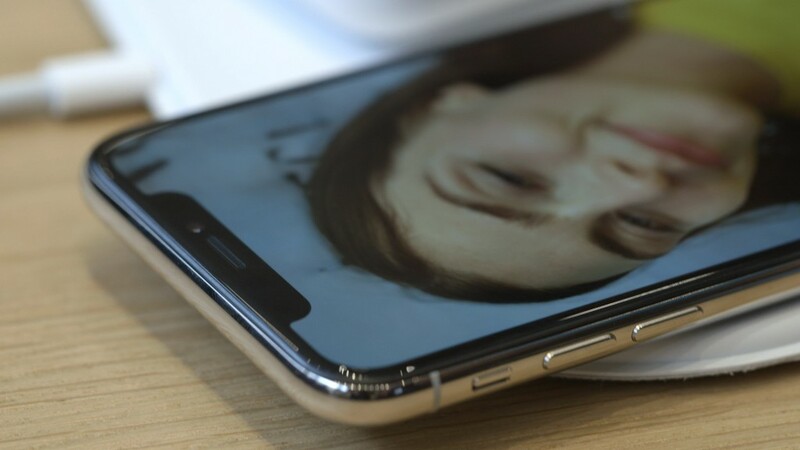 Instead of inserting a lighting connector into the port on the iPhone, you can place the device on top of special inductive charging pads (sold separately) that use the Qi charging standard. All three new phones will have a faster A11 processor. The A11 includes a "neural engine" for handling complex tasks like speech recognition and, on the iPhone X, facial recognition. What's different from the iPhone 7: The iPhone 8s have inductive charging, a glass back, faster processors and are available in larger 64 GB or 256 GB options. Apple says the camera sensors are larger and better at low-light photos. The iPhone 8 Plus's dual cameras mean it gets a handful of new Portrait Mode options, which mimic professional lighting effects. It adds more frame rate options and an improved flash. What's the same as the iPhone 7: The basic design of the phone is the same and unlikely to stand out unless you spend a lot of time staring at the backside of your device. Battery life, screen resolution and the water and dust resistance are all the same as the iPhone 7 and 7 Plus. Cost and availability: The iPhone 8 starts at $699 and the iPhone 8 Plus at $799 for 64GB. Preorders begin Friday, Sept. 15, and the phones will ship Sept. 22. There is some undeniably cool (and possibly creepy) new technology packed into the iPhone X. Available in only one size, it's slightly larger than an iPhone 8. The iPhone X packs in a much larger 5.8-inch display by pushing it all the way to the edges of the phone and killing the home button. The splashiest addition is face detection. Instead of using a fingerprint, the phone will use front-facing sensors and cameras to identify your face and unlock the phone. The technology will also be used for other features, like Animoji, which animate emoji like a panda, unicorn or poop so they mimic your facial expressions. The camera has a couple of improvements over the iPhone 8 Plus. The dual lenses are now stacked instead of side-by-side, and the telephoto lens has a wider ƒ/2.4 aperture. Both lenses have optical image stabilization, versus just one camera on the iPhone 8 Plus. What's different from the iPhone 8: The iPhone X has facial mapping and detection features for unlocking and Animoji. The higher resolution screen goes closer to the edges, except around a cut-out on top of the device for sensors. There is no home button and no fingerprint sensor. The camera is a step up, with optical image stabilization on both back lenses. The front camera has Portrait Mode. What's the same as the iPhone 8: The iPhone X also has inductive charging, a glass back, and the faster A11 processor. It has the same Portrait Mode camera features on the back camera. Cost and availability: The iPhone X starts at $999. The phones will ship Nov. 3.